First and Last Off Licence is renowned for being one of the best off licences in Northern Ireland. We are a family run hard working business located conveniently off Junction 20 from the M1 Motorway in Jonesborough, County Armagh. We do our utmost to offer supermarket competitive prices across our entire range of products. With our great location right on the border, we are happy to cater for customers from Northern Ireland and the Republic of Ireland; therefore we offer our prices in both Sterling and Euros with a highly competitive exchange rate. We have a superior range of wines, spirits, ciders and beers to choose from. We offer free onsite parking so that our customers don’t have to deal with the stress of traffic jams or parking metres. 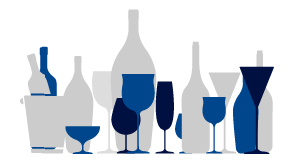 Not only do we carry an extensive range of products but we also have numerous contacts/suppliers to use to help us source that particular wine, spirit or beer you may have been searching for. All you have to do is send us a request and we will be more than willing to help track down that exclusive drink. We specialise in bulk orders for all occasions and can help you stock up for all events such as parties or weddings. .
Our staff are happy to help with any enquiries you may have.